Every time I have my annual wellness exam, my doctor gets a little carried away on the prescription renewals so that when I show up at the pharmacy to pick up the meds I expect, there is often extra things like the codeine cough syrup he’s prescribed when I last had bronchitis, or the inhaler he prescribed one time when I got bronchitis and it didn’t respond to the first antibiotic, or the corticosteroid nasal spray he keeps recommending for my allergies or when I get a sinus infection. So I wind up telling them I don’t actually need several of them, but I have kept one unopened bottle of the nasal spray, just in case. I don’t like using it because when I have done so in the past I got very vivid and disturbing dreams for several days after. And by disturbing I don’t mean that they are bloody or horrific (usually) it’s just that they are so vivid that it takes many minutes after waking up in a panic before I can convince myself they aren’t real. So the other night, when I conked out after dinner unexpectedly, I woke up to find the apartment full of smoke and my Mom was standing at the door, calling to me to come help her open it because and we needed to get out and where is Michael? And I jumped up from the recliner, stumbled over a filebox on the floor trying to get to my mom and the door and just as I’m opening my mouth to yell for Michael the smoke had vanished. Also, Mom (who hasn’t visited us in over 20 years because travel is difficult for her for various health reasons) had vanished. There was no smoke. There was no fire. There had been no Mom. And the dream was so vivid that I went to the bathroom and dug out the box with the unopened bottle of the nasal spray just to confirm that I hadn’t opened it and used it when the sinus headache had been real bad the night before. I didn’t remember using it, but the dream really felt like one of those, so I thought maybe in the middle of the night, when I was half asleep and had been tossing and turning because of the headache I had given in and added the spray to the mix of allergy pills and over the counter cold medications I’d already taken. And that was only the first day of the fever. And Michael didn’t answer. But now that I’d spoken aloud, that was enough to completely wake me up, and I’m standing in front of the watch in its charger. Its face is lit up showing me that there are still two minutes until the alarm will actually go off. There have also been two dreams where I was somewhere in the city trying to remember where I had parked the car because I either needed to pick up Michael somewhere or I was trying to get away from someone who was trying to hurt us. And both of those ended with me awake, standing in front of the phone charger, trying to find the app on the phone that will help me find the car. One of the mornings I wasn’t actually holding my phone, I was holding the TV remote (which is normally on the shelf above the phone charger), but I swear a few seconds before it had been my phone. And yes, it was as if I watched it morph from phone to remote as I finished waking up. The fact that when I’m having a nightmare I will get up, walk around, talk (sometimes yell), and so forth is one of the reasons that normally I don’t watch scary movies, by the way. So I still haven’t actually used the spray. I’m of two minds: since I seem to already be having the side effect I least like, maybe I should go ahead. On the other hand, the spray might just make the weird dreams even worse. And this gets me to two reasons why I shy away from writing dream sequences in my fiction. When I have tried to write them like the dreams I remember, the reaction from readers (at least the ones I hear from) is that the dream was more confusing than enlightening. When I tried to write them to have a bit more narrative flow, readers say they went on too long. Having had these reactions, I am not enthused when someone suggests that a dream sequence would better explain a particular mystical thing happening in one of my stories. 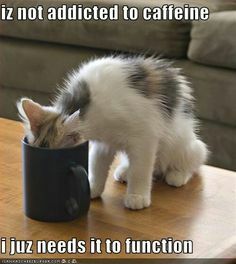 Besides trying to get work done while juggling regular meds, symptoms of this cold thing, extra meds, it’s been a bit of a struggle to remember to keep hydrates and get enough caffeine in me so that I don’t wind up with a caffeine-deprivation headache on top of everything else. You would think that coffee, of all things, would be something I didn’t have to remind myself to drink, but you would be wrong. I hope I’m well sooner rather than later. So I had to explain to him that in the software industry (at least the places I’ve worked) people don’t take official coffee breaks. You get to the office, you hang up your jacket and so forth, boot up your workstation, grab your coffee mug and head to the kitchen. You then bring your full coffee cup back to your desk and sip it while you work. And you go back to the kitchen and refill your coffee cup whenever the heck you want to, and bring it back to your desk. Yeah, sometimes you wind up hanging in the kitchen chatting with co-workers. And some folks prefer to have a specific time they leave their desks for a break, but most of us take a lot of mini-breaks throughout the day. And, of course, folks whose jobs involve answering the phone (tech support, customer service, sales) don’t have the flexibility to get up and go refill coffee whenever. But for the rest of us, particularly since most of us aren’t hourly and wind up putting in more than 40 hours a week anyway, don’t really worry about rigid break times. I do block off lunch time. I used to not do that, and work while eating at my desk like a lot of my co-workers. But some years ago I had a boss who really believed that one of your responsibilities is to take care of yourself so you can do a good job. I still eat at my desk, but my work computer is logged out, and I spend the time writing on my iPad or catching up on the news. At the time we had this conversation, I was drinking on a typical workday at least six mugs of coffee a day. The other reason he thought I didn’t drink coffee during the week is that I seldom made pots of coffee at home during the week. I’m a cheapskate, son of cheapskate, grandson of penny-pinchers, et cetera. Of course I’m not going to make extra coffee for myself if I can get it free at work! Which proves that I’m nowhere near the caffeine fiend that I sometimes talk like, because I can muddle through the morning get ready for work routine without several cups of coffee. Note, however, that I didn’t say without caffeine. See, on a typical Monday morning, for instance, there is coffee in the pot left over from Sunday. And yes, I will stick a mug of that in the microwave and heat it up on Mondays. And other days, well, before I had the fancy electric teakettle thing, I would fill a mug with water, drop a teabag in it, and stick it in the microwave. Just a little caffeine to start the day, right? On a typical work day, then, I have a mug of some caffeinated beverage early in the morning, then a couple of mugs of office coffee once I get to the office, and then four or so cups of tea in the afternoon. I betray my cheapskate heritage on that, because the office tea selection is often pretty boring, so I have a few of my favorites (double bergamot earl grey, aged earl grey, jasmine green, lavender earl grey, blackberry oolong, green & black earl grey… that sort of thing) in a drawer at the office. So, yes, I need my caffeine. It gets me through the day. 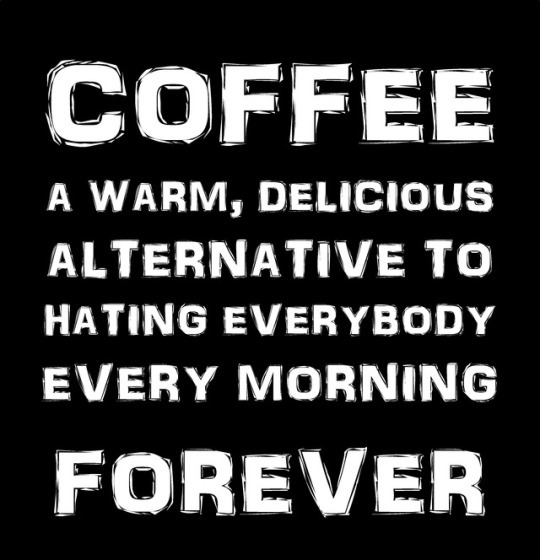 And some of it is in the form of coffee. And I sometimes make disparaging remarks about people who don’t indulge. And I know that I shouldn’t. Some folks have medical reasons to avoid caffeine. Some people have religious objections. And some people just don’t like coffee or tea. I am boggled at the last, but try to remind myself that lots of people are completely baffled at just how much I hate the taste of raisins. So I try to live in peace with the decaffeinated freaks around me, even the ones who actually like the satanic fruit in muffins or cookies or whatever new kind of food someone has decided to ruin with raisins. 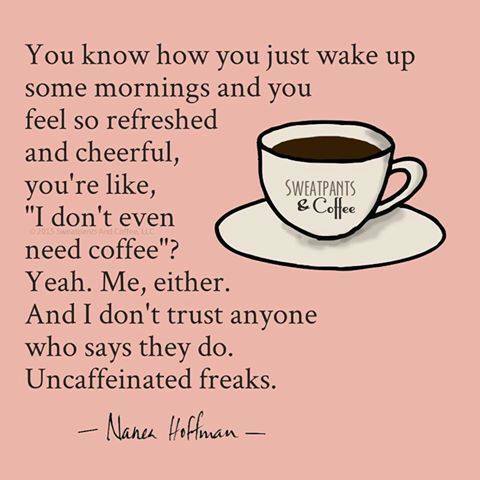 And I hope that they will be equally accepting of what a weird caffeinated freak I am. Because on the whole, all people are strange. If there’s someone who doesn’t appear to be weird in some way, that just means you don’t know them well enough. It’s December, and that means I’m trying to write yet another original Christmas Ghost Story to read at our annual holiday get together. But as is often the case, I have too many plots and can’t quite settle on which one to write. If you haven’t already, go to Which Christmas Ghost should I write? and take the poll. Seeing which things interests people does help. I may not wind up finishing the story more people vote for this time around, but just seeing people voting gives me at least a bit more motivation. The annual wails of outrage and anger at Starbucks over the “War on Christmas” began a few weeks ago, before a bunch of Trumpkins took it into their heads to punish Starbucks by going to various Starbucks stores, buying fancy coffees, telling the barista their name was Trump, and then get all upset if anything untoward happened. Or something. I really still don’t understand how buying stuff from a company punishes it. Anyway, I saw some blog posts a couple of weeks ago claiming that this year’s Starbucks holiday cup was, once again, an assault on traditional american values because it didn’t say Christmas on it. The blog posts were in reference to a green cup that Starbucks unveiled a week or so before election day. They called it a Unity cup, and the featured artwork was many different people drawn with one continuous line, to symbolize how everyone is connected, humanity is one big family, et cetera. And the usual War on Christmas nuts started making angry posts about it. 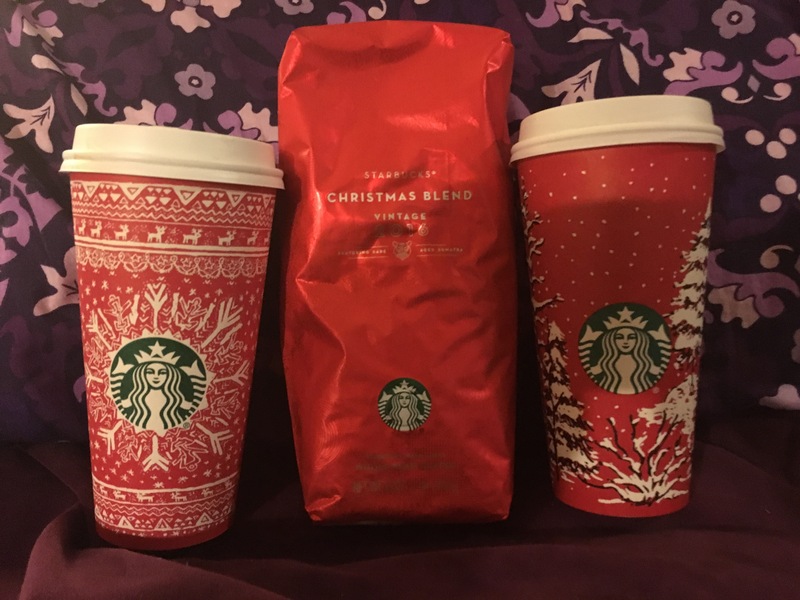 Here, in a picture I swiped for the Starbucks corporate website, are this year’s actual holiday cups, which all look very Christmasy to me! There are a couple of problems with this outrage. 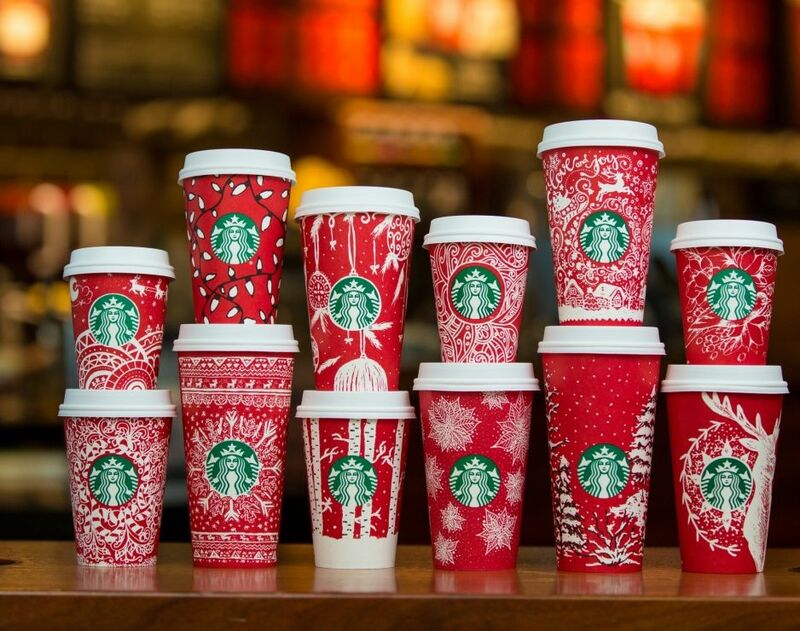 First, the cups weren’t the Starbucks holiday cups: No, Those Green Cups Aren’t The Starbucks Holiday Cup. Second, in what way can any Christian be legitimately offended by a message of community and connectedness of all mankind? Especially at Christmas? I mean, in Luke 2:14 after the angel tells the shepherds that the savior has been born, a multitude of the heavenly host appears in the sky beside the first angel and sings, “Glory to God in the highest, and on earth peace, good will toward men.” Right? Well, that’s one of the problems. The King James Version, which was the English language translation of the Bible preferred by most protestants for a couple hundred years (and was the one I first read cover-to-cover, the one read and quoted from the pulpit at all the churches I attended, and the one from which I memorized the Christmas story as told in Luke chapter 2 and Matthew chapter 1 as a child), states the angels’ song the way I quote it. God’s message is good will toward all mankind in that translation. The god of the King James Version was pretty judgmental, but not judgmental and condemning enough, apparently. And the new translations many of the evangelicals and fundamentalists favor render that verse a bit differently: “Glory to God in highest heaven, and peace on earth to those with whom God is pleased.” Clearly implying that God does not offer universal love and forgiveness to everyone. Make no mistake, the King James Version’s translation has all sorts problems. And the original texts from which the modern Bible is derived have other problematic issues. There are so many passages that praise slavery, for instance. There’s the bit in the old testament where men are instructed, if they suspect their wife might have been unfaithful, to take said wife to the temple for an involuntary abortion. There are also twenty-five separate and unequivocal passages stating that left-handed people are abominations and will not get into heaven. These are just some of the reasons that I no longer consider myself a member of the religion in which I was raised. Do good to those that hate you. He didn’t say to make laws that punish those who disagree with you. He didn’t say to deny marriage licenses to those who believe differently than you. He didn’t say deport those who worship differently than you. He didn’t say to build walls to keep out people who look and speak differently than you. He didn’t say to tell all those people you are persecuting that you love them even while you’re doing all these hurtful and hateful things to them. He said to do good to everyone, including those who hurt you. That’s how you love your neighbor. But it’s apparently a lot easier to change the words of their sacred book than it is to change their own hearts. A red coffee cup with snowflakes on it, or Christmas ornaments, or snow covered evergreen trees, or a fanciful reindeer do not constitute a “War on Christmas.” It’s manufactured outrage, not an actual war. But people who call themselves Christian and support the persecution and demonization of people based on race, sexual orientation, immigration status, or religion? That is an actual war on the teachings of Christ. A cup, a cup, a cup, a cup, a cup… boy! 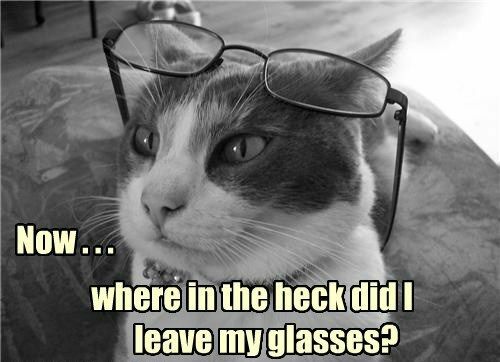 “Now, where in the heck did I leave my glasses?” This is a frightening accurate representation of the author. Absent-mindedness manifests in many ways. For instance, my coffee cup. When I was younger, I would often lose track of my current cup. I would spend time looking for it, and then conclude that maybe I was simply mis-remembering having poured a cup at all. I’d grab a mug from the cabinet, fill it up, head back to whatever I was working on. 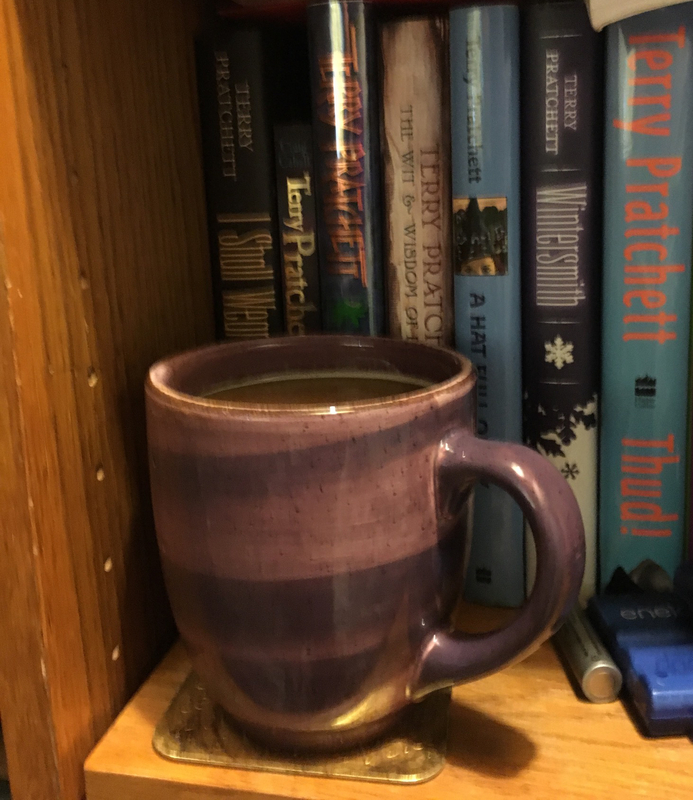 About a third of the time I’d sit down with the cup and hear a clink as I tried to set the second on top of the first mug, which I was absolutely certain hadn’t been in that spot on the desk just five minutes before. But there is was, half full. Other times I would work for a while, then get up to retrieve a book from another room, or run to the bathroom, or something similar, and I’d find the first mug, sitting in an odd location, half full and gone completely cold. Some days I’d wind up with three or more mugs scattered around the house. 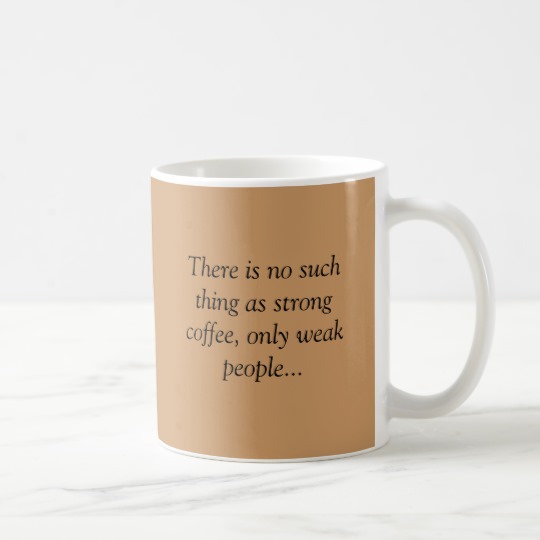 I was only able to reduce the occurrence of that problem by adopting the practice of using only my favorite mug for coffee. If I couldn’t find the coffee near me where I expected it, I’d keep searching until I found that mug. Of course, it isn’t always coffee. I currently have a second favorite mug, and I use it for tea. 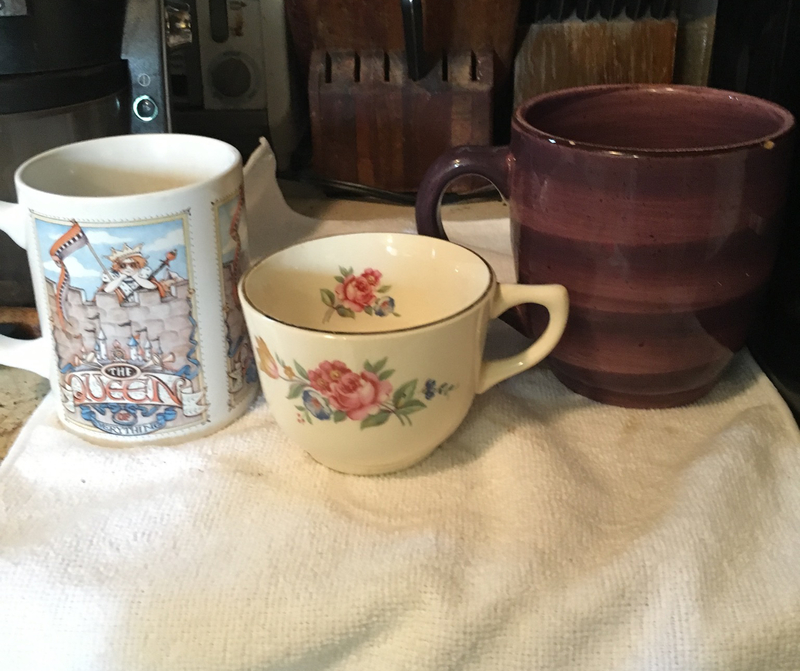 If I decide to make tea, I go find my Queen of Everything mug, pick out a tea bag from my rather frightening collection, turn of the electric kettle portion of my coffee maker, and then make a cup. Sometimes I get in the mood for tea and forget that I still have a half a cup of coffee sitting around somewhere. I usually find it a bit later, and half the time I don’t even realize it until I pick up the mug, take a sip expecting tea, and I get room temperature coffee instead. Never mind that my favorite coffee mug is mug bigger, is a different shape, and a completely different color from the tea mug. When I’m in the middle of something, I don’t notice any of that. But that isn’t the end of it. Some afternoons or evenings, I’ll have a craving for some soda. So I’ll grab a can of La Croix, or a bottle of Dry Soda, or some other low- or no-sugar sparkling drink, open it, and drink half of it before I realize that I already have a half-finished mug of tea or coffee… and sometimes half a mug of each. My favorite coffee mug in it’s natural habitat: a bookshelf within reach of my favorite chair. So I drink a lot of coffee. 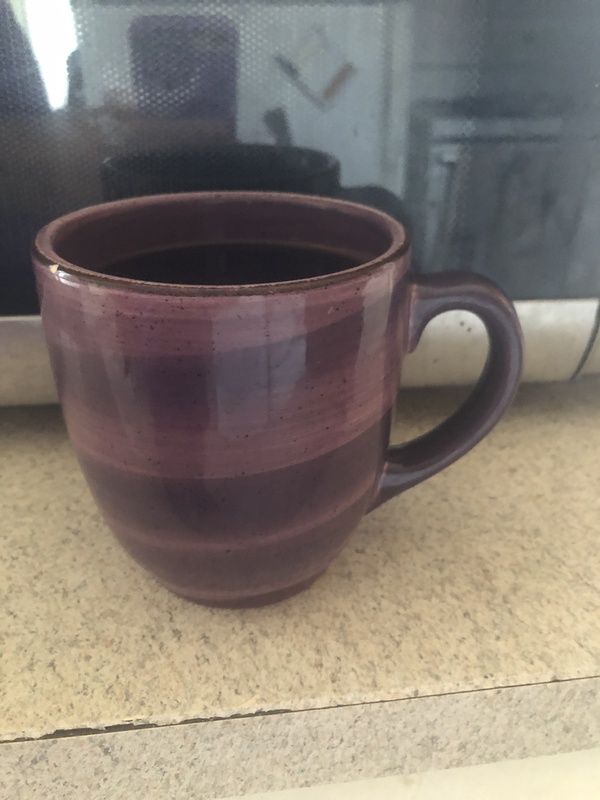 And when I’m at home on a work-from-home day or a weekend, I typically make a pot in the morning, fill up my mug, drink only some of it before I decide it needs a warmup, so I top it off. How many cups of coffee do I drink, then? Is it one long cup, or is it twelve? Except my cup is rather large, so how do we count by the cup or by the cup? It has long amused me that coffee pots still measure the amount of coffee in the carafe by a measuring cup. One cup of liquid equals half a pint, which means 1/16th of a gallon. But at no time when I have own a coffee maker, have I ever drank coffee from a drinking cup that holds just one measuring cup’s worth of coffee. Most people drink from a coffee mug that holds nearly two measuring cup’s worth of coffee in a single serving. My current favorite home mug is bigger still. It’s the purple one in this picture. The little teacup in the middle is the kind of cup that the coffee pot manufacturers seem to think that people still use for drinking coffee. The mug on the left is one of my old favorites. At one time it was my office mug. I brought it home because a co-worker was weirded out that a man liked to drink coffee from a mug that said “The Queen of Everything.” Never mind that I was an openly gay man, it still freaked at least one person out. So it was a mug I often drank coffee or tea from at home for years after that. Until I found the large purple one. The coffee pot right after making a full put. Not that the liquid goes up the the 12 mark. 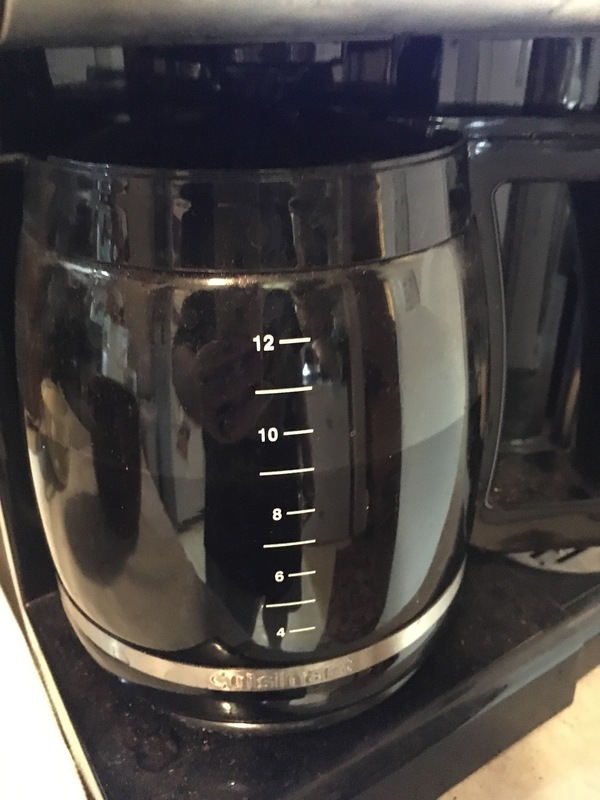 My current coffee maker includes a carafe which claims to hold 12 cups of liquid. And it certainly looks like a huge amount of coffee when I first make a pot in the morning. Twelve measuring cups is three quarts, and three quarts of coffee seems like a lot. Right? I filled up my favorite mug exactly once, and look how the coffee level has dropped! However, when I pour coffee out of the carafe to fill my favorite mug, note that the coffee level has dropped down to just below the 9 mark. So my favorite coffee cup holds three cups of coffee. 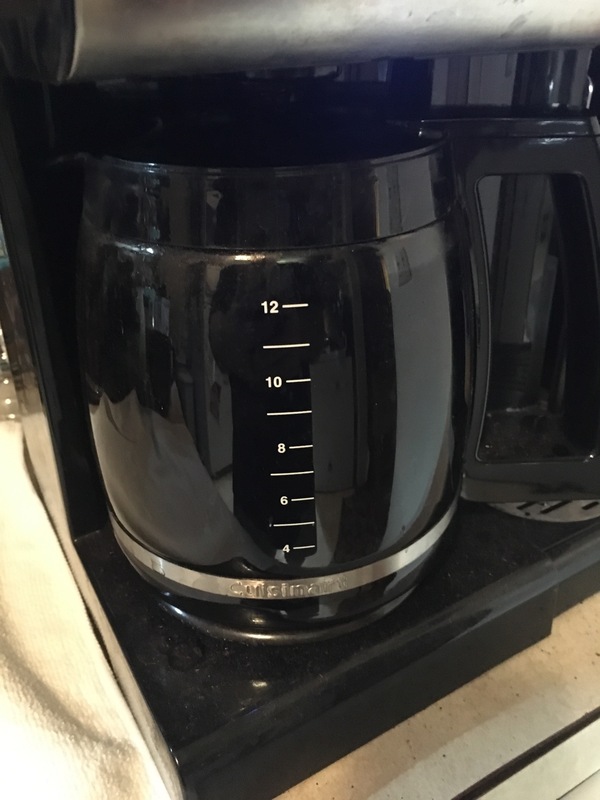 Which means that if I drink the whole pot, while one could say that I drank 12 measuring cups of coffee, it’s only actually four refills of my coffee mug. So, do I drink 12 or 4 cups in a single day? Well, there’s at least one more complication I haven’t told you. Periodically over the course of the day, whenever I notice that the carafe is less than half full, I pour about three cups of water (using an aluminum pitcher I keep nearby for reasons) into the reservoir and kick-off a new percolation cycle, letting the machine top off the pot. I confess that when I do this, I don’t grind fresh coffee beans, I just let the new hot water go through the grounds that I put in in the morning. This probably makes me a freak or a loon in the opinions of some hard-care coffee fanatics. I usually only do this twice in a day. So, that would indicate that I actually drink about 18 measuring cup’s worth of coffee a day, right? Well… the truth is, I usually stop in the early evening, and there is usually still coffee in the pot at least up to the 4 cup line when I do. So let’s call it 14 measuring cups again. That’s enough to completely fill my bit mug four times, and nearly a fifth afterward. I’ve left out one more wrinkle that applies to work-from-home days. When I first get up on a work-from-home day, I do my meds and some of the other morning routines quickly, including making coffee, so I can drive my husband in to his place of work. As a treat for myself, I grab a small can of coffee drink, either a Starbucks Double-shot Lite, or there’s another brand that has a Salted Caramel flavored coffee drink in a small aluminum can. Both types claim to have the equivalent of two shots of espresso in the drink. I pour one of these cans into a travel mug, which fills it a bit over half full, then top it off with coffee from the pot. That’s my “latte” for the drive in. I usually drink about half of it in the trip. 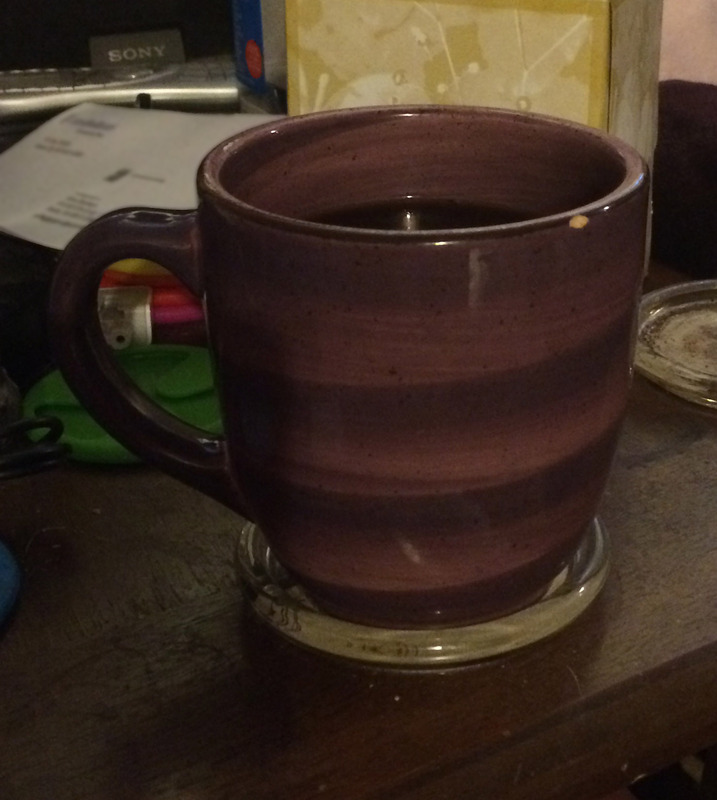 When I get back home, I pour the remainder into my big purple mug, and top it off with hot coffee. The Starbucks’ can holds 6.5 ounces. The other brand’s can holds 7 ounces. Let’s just call it one more cup. Except it’s supposed to be two shots of espresso, so should we call it two cups? Just how much coffee do I actually drink? P.S. Please don’t chime it to say that coffee isn’t good for your health. The studies that most people think showed that were all conducted over 50 years ago, and newer studies show no correlation between coffee drinking and any of the health effects people attribute to them. None. Deeper analysis of the raw data from the earlier studies has revealed that the researchers completely failed to notice that there was an extremely strong correlation between being a heavy coffee drinker and being a heavy smoker. There was also a very strong statistical tendency for men to drink more coffee per day than women. And oddly enough, all the health issues that people now blame on coffee because of these badly quoted studies are also illnesses that one is more likely to have if one is either male or a smoker. When the data from the old studies is re-analyzed to compare only smokers to smokers, non-smokers to non-smokers, men to men, and women to women, all statistical correlation between the amount of coffee someone drinks and any negative health effects vanished. It ain’t the coffee that you need to be worrying about. I like to think that I’m not superstitious. I’m a science geek who majored in mathematics and has studied (both formally and on my own) physics, astronomy, relativity, logic, rhetorical theory, chemistry, biology, and a wide variety of related topics. Mr. Spock has long been one of my favorite characters in fiction. My real-life heroes have included famous skeptics such as Carl Sagan, Isaac Asimov, Stephen Jay Gould, Billy Nye, and James Randi. But every now and then things happen that make me believe. Lately, it’s been the coffee pot at work.